"Writing her own love story could drive a girl insane! When you’re the daughter of the bestselling Queen of Romance, life should be pretty good. But 16-year-old Alice Amorous has been living a lie ever since her mother was secretly hospitalized for mental illness. After putting on a brave front for months, time is running out. The next book is overdue, and the Queen can’t write it. Alice needs a story for her mother—and she needs one fast. That’s when she meets Errol, a strange boy who claims to be Cupid, who insists that Alice write about the greatest love story in history: his tragic relationship with Psyche. As Alice begins to hear Errol’s voice in her head and see things she can’t explain, she must face the truth—that she’s either inherited her mother’s madness, or Errol is for real." I was slightly skeptical when reading this because it had a booming pink cover but surprisingly it’s for all genders and I really enjoyed it. It’s actually a fast paced, fantasy-romance, that isn’t the typical YA fantasy-romance. The book covers many important things such as First Love, BiPolar and living on your own in your teenage years. It’s actually really good, and also has quite a bit of Greek Mythology which I’m always up for. The book follows Alice, daughter of the Queen of Romance, who has BiPolar (not Alice, her mum), but nobody knows, so Alice is getting letters from the publishers until one of the letters has something very... interesting in it. Then things get complicated, and a love triangle is formed. The book is written well, and i found it a nice quick read that I whizzed through despite the size. Also it’s one of those books where you just want to keep on reading on and on even though your mum is shouting for you to come for dinner. The plot was extremely clever. I have to admit you read half of the book and you think you know the storyline as a basic love triangle story but suddenly! Somethings get twisted and you’re hit with intense shock and suspense. There weren’t many characters in this book but I think it worked because the characters got built up really well and strong as it was the same people over again. Also it made you feel all that closer to them and much more satisfied. Now trust me, I love books, so when you get a book about books I get eepish (very exited) so I was very eepish when I realised this was a book about books (sort of). 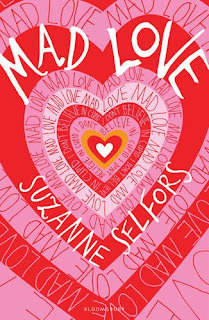 The book was very good, I liked it a lot, and the Magical twist with Cupid, was very nice. I was all smooth and nicely flowing and I just felt it was lovely to read.